You’d think after the first ten, finding ten more might be easy. Finding them is easy, it’s the whittling them down to ten that is hard. We’re sure you’ll have your own ideas, but these are ten libraries that I have chosen for being generally outstandingly beautiful. 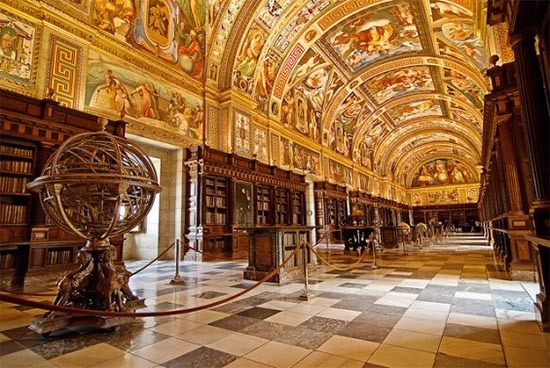 The Library of El Escorial, Spain is located in the Royal Seat of San Lorenzo de El Escorial, the historic residence of the King of Spain. The frescoes represent each one of the seven liberal arts and today the library is a World Heritage site, holding more than 40,000 volumes. This baroque style library and abbey were completed in 1736. 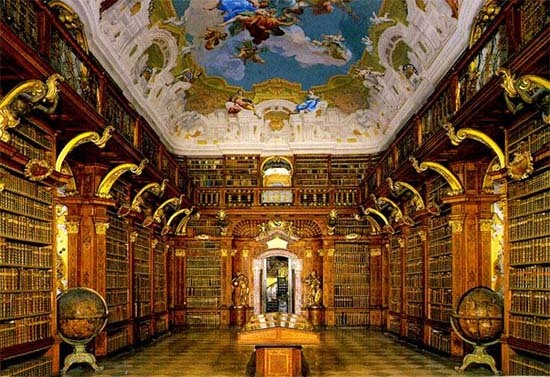 The Library includes a world-famous collection of musical manuscripts and is decorated with breathtaking frescoes by artist Paul Troger. 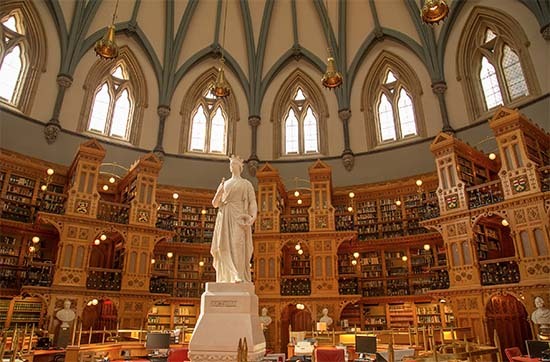 Once part of the city’s original Parliamentary headquarters, the Library of Parliament in Ottowa was completed in 1876. Ten years into construction the builders admitted they didn’t know how to create the domed roof seen in the plans, and so a company in England was commissioned to create a pre-fabricated dome. The building is so iconic, it appears on the ten dollar bill. From the outside Beinecke Rare Book Library is a brutalist lump, but the inside is impressive and unique. The library is the largest building in the world designed to take collections or rare books and manuscripts and is home to ancient bibles, medieval manuscripts and much more. 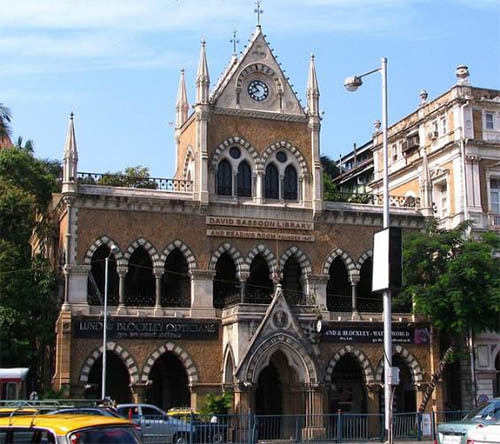 The oldest library n Mumbai, the David Sassoon Library is one of only 145 monuments protected by the government. One of its most striking features is a garden and outdoor reading area at the back, a rarity in Mumbai. 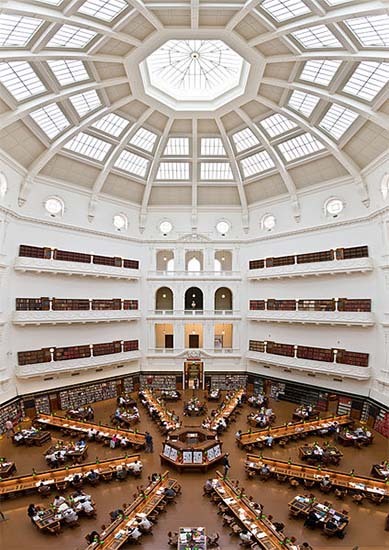 Opened in 1856 with a collection of 3,800 books, the Victorian State Library has a famous domed reading room, opened in 1913. The library is vast, containing over two million books and is also home to some fascinating rarities. Completed in 2001 the Virgilio Barco Library, Colombia is a testament to modern design. 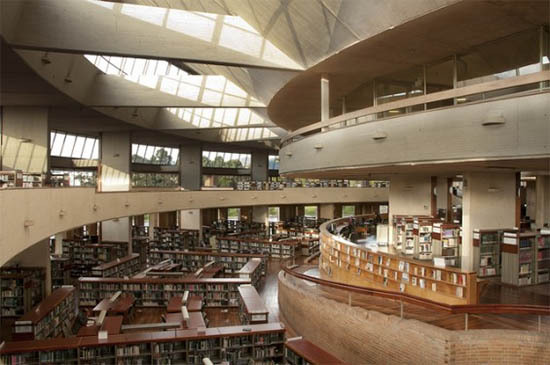 Designed by Rogelio Salmona, the library is modern, classic design, inside and out. 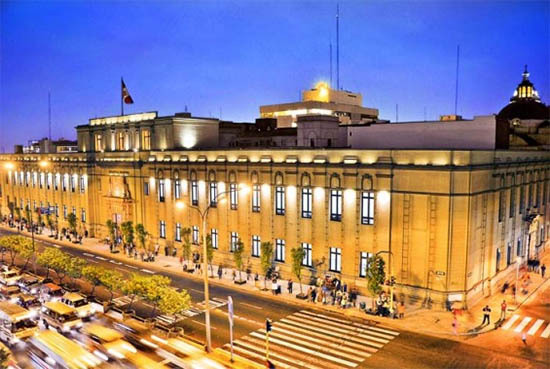 Completed in 1940, the Public Library of Lima is considered to be a historic monument, featuring marble floors, and stairs, high ceilings the imposing building is simply beautiful. 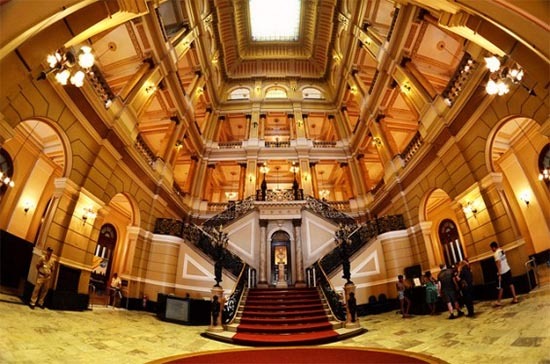 Constructed back in 1810, the National Library of Brazil in Rio is the largest library in Latin America and the seventh largest in the world. 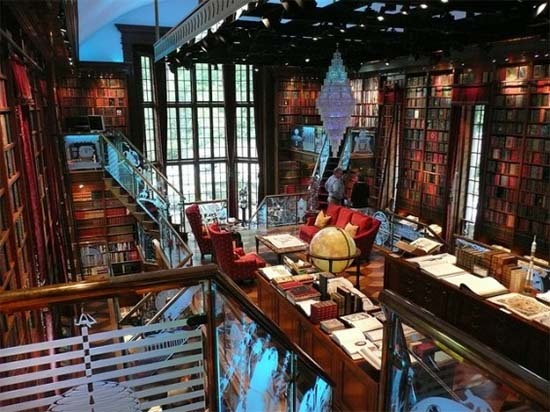 The library houses over nine million items including rare books and photographs. 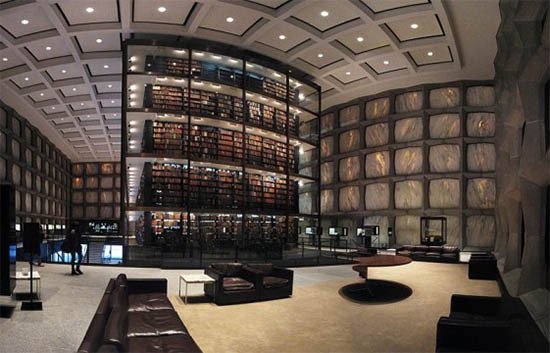 So that’s it, ten more breathtakingly stunning libraries. We hope you enjoyed them all, I had a lot of fun researching this feature. Now excuse me while I wipe the drool from my chin!